Thank you for your interest in setting up a wholesale account with us. Below are the guidelines for setting up a wholesale account with us. 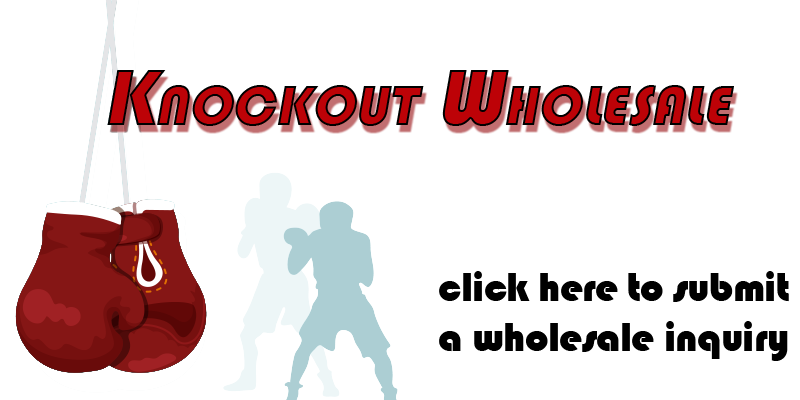 No member purchasing products at wholesale is allowed to sell products on Amazon, or Walmart.com as Knockout Novelties is currently a seller on these sites. No member may sell products below the price point listed on our website on their own online store. If you can adhere to these guidelines and would like to continue please click below to submit a request for a wholesale account. Please include in the message the name of your business and website if applicable.